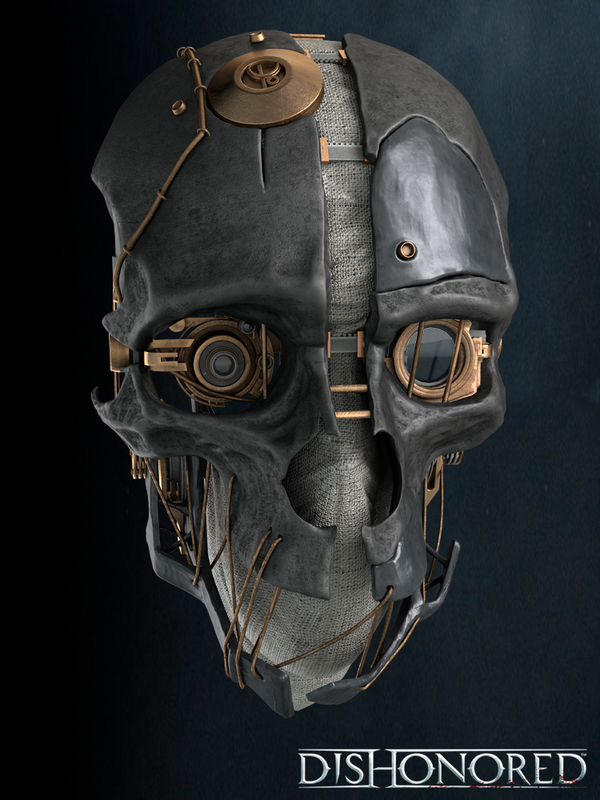 Here's some work I did for the Dishonored add campaign. This was my render of the mask in neutral lighting we did for the campaign. I should note that this model came with textures, however I am responsible for the shaders and lighting, based on a concept from Blur Studios. All renders in VRay. These three shots were for possible box art. The models and textures were all video game resolution and were upresed where needed. I scaled up and touched up textures, added textures where needed, fully shaded and lit these scenes. Photoshop paint overs were done by another artist. These posters were abandoned while still in progress, but I still like how they turned out.